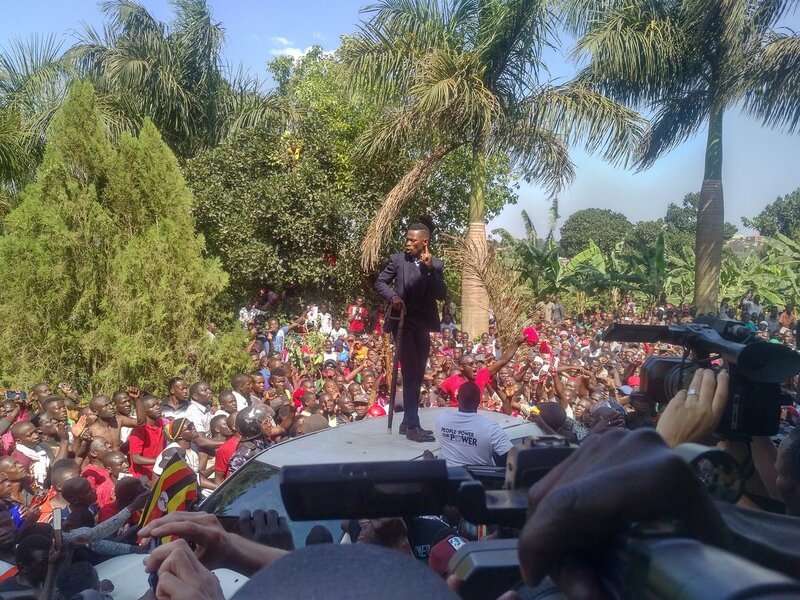 MAGERE – Kyadondo East Member of Parliament Robert Kyagulanyi aka Bobi Wine on Thursday returned to the country and vowed to continue the struggle of seeking change in Uganda. He later told journalists at his home that he was roughed up by security operatives when he touched down at Entebbe Airport at around 12.50pm, his valuables and passport were taken. Nevertheless, he said, he was glad to be back home to continue what he described as a struggle for freedom. He then asked to be allowed to rest, saying he was exhausted. Earlier, the road leading to his home was a beehive of activity as his supporters awaited his return. Hundreds of the MP’s supporters were seen sweeping roads, erecting banana trees, hanging balloons and flowers as they waited for the legislator. They kept singing MP’s slogan; People Power, Our Power! And several other songs ridiculing the ruling party. When news filtered through that Bobi had landed at Entebbe International Airport, the crowds erupted into jubilation and ululations. During this time, Bobi Wine posters were selling like a hot cake, with some going for as much as Shs10,000. All this time, security forces kept a close watch of the events from a distance. At one stage, they dispersed the groups, probably to stop them from further chaos.